The Solution below shows the F major key signature on the treble clef and bass clef. This step shows the F major scale key signature on the treble clef and bass clef. 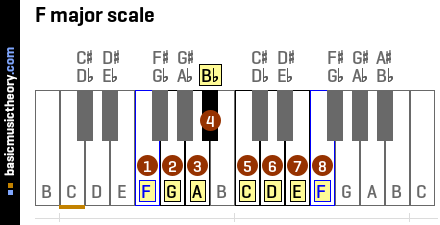 To understand why the F major scale has 1 flat, have a look at the F major scale page, which shows how to identify the note positions and names for this scale.